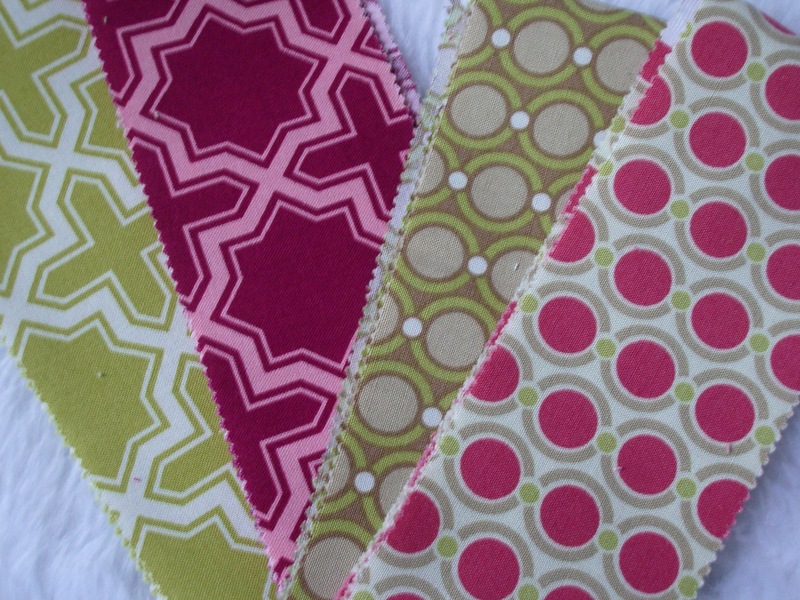 I’ve finally started using some of the lovely Joel Dewberry fabric strips I bought a few months ago. 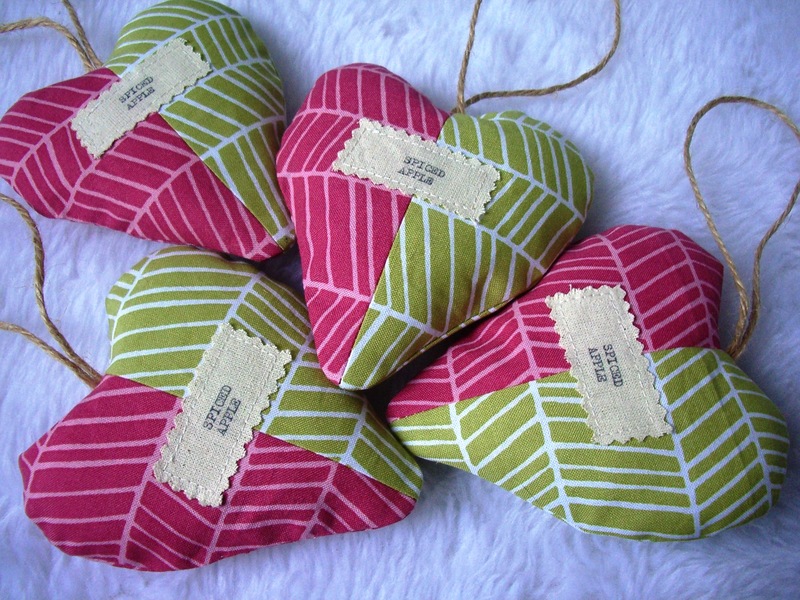 I’m using the pink and green complementary pieces first to make some hanging heart decorations. I’m filling them with polyester fibre filling to make them soft along with a couple of spoonfuls of apple spiced aroma beads to give them a lovely christmassy scent. It smells really lovely around my workspace!